October 31st to November 2, 2019 will mark the 22nd year of the Huron Ringneck Festival competition and the 17th year for the Bird Dog Challenge. Thirty teams with participants from over 20 states compete in the event. Complete an application today so you don't miss out on this annual weekend event! Photos and Video from the 2018 Ringneck Festival can be found on the Huron Ringneck Festival and Bird Dog Challenge Facebook page. You will find more information below on the Ringneck Festival & Bird Dog Challenge along with rules and applications that you can download. Only 30 teams will be accepted for the competition hunt and no less than 40 for the Bird Dog Challenge so be sure to get your application in by the August 30, 2019 deadline. 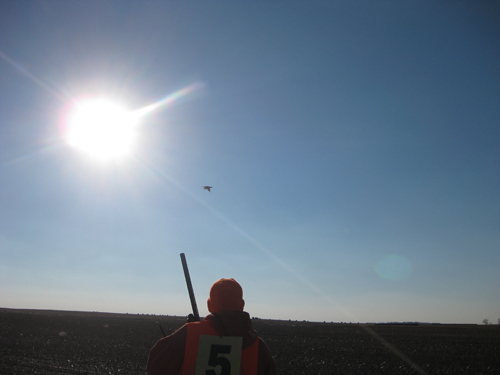 The Ringneck Festival competitive hunt consists of six-member teams, attempting to bring back 18 pheasants. Each member is allowed four shells, for a team limit of 24. Limiting the number of shells helps ensure that hunters will take clean shots, reducing the number of injured birds. The entry fee is $1,800 per team ($300 per hunter) which includes meals, hunts, entertainment and prizes. The winning team members and hosting landowner each receive a shotgun. Please print and keep for your reference. To fill out this application, right-click the link above and choose 'Save Link As' Save to your computer and then open with Adobe PDF Reader to fill out and submit. Pay your entry fee(s) securely. The Huron Ringneck Festival Bird Dog Challenge is an exhibition that tests the skills of dogs and hunters. The event is scheduled for November 8 & 9,2018 kicking off the Ringneck Festival weekend. 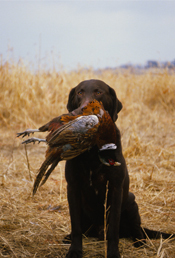 Points are awarded to each team based on birds harvested, full retrieves, partial retrieves and normal retrieves, shots not taken, and every second remaining on the clock. A minimum of 40 teams are allowed to participate in the event, with a registration fee of $175 per team. Cash prizes are awarded to first through fifth place teams. The RLB’s Ringneck Festival Hall of Fame was established in 2009 to honor participants for years spent in the festival and showing extraordinary enthusiasm during and outside of the event.